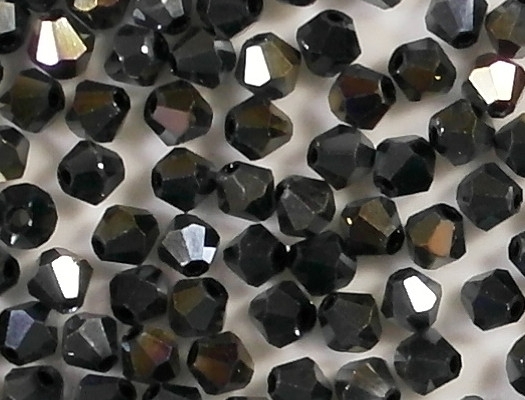 Size/shape: 4mm (long) x 4.5mm (wide) bicones. 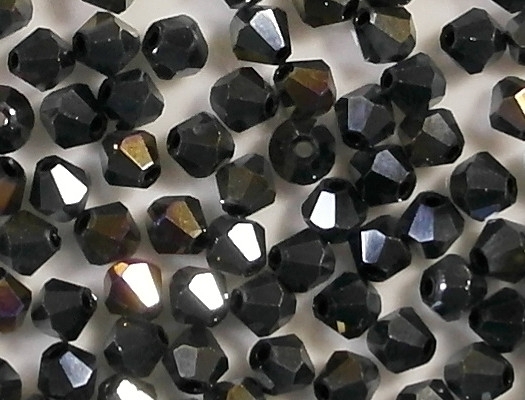 A bicone is like two six-sided pyramids joined at their bases. 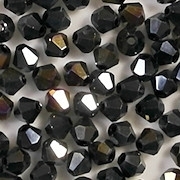 Colors/description: Black glass with a gold-colored coating on part of each bead. 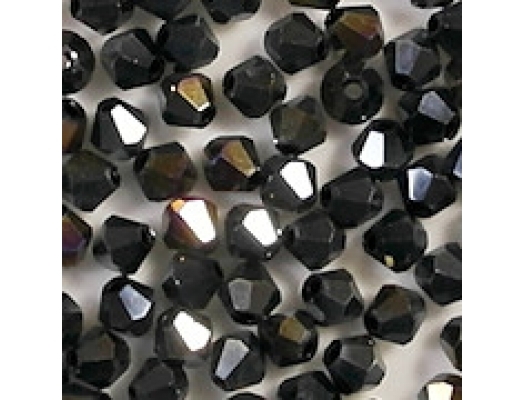 Defects: These are cut-crystal beads, not fire-polished beads, so the facets are more perfect. 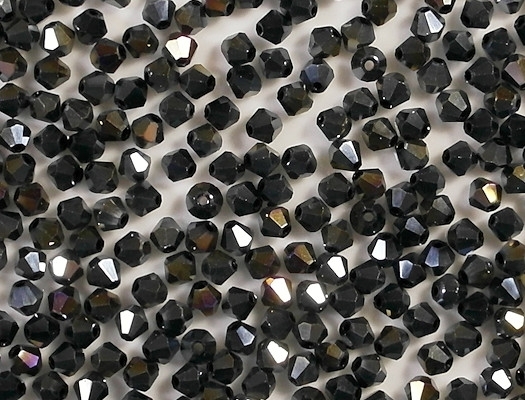 An occasional facet may have a minute chip or two along the edge. Also, I have noticed that the Chinese bicones sometimes have chips around the holes, and that the holes are sometimes slightly off-center. This makes me think that the holes are not part of the mold (as they are with Czech beads), but may be drilled (but that is just a guess on my part). Comments: My picture is pretty good except that it doesn't show the gold coating well. The light reflections make the gold coating (which is on just part of each bead) look white. I'm buying more Chinese bicones these days than Czech bicones because they are so much cheaper. In actual use, they look perfectly good.